Re: 2019 Start point interests? I finished in Stonehaven this year. I was a bit worried about the last leg but it was quite pleasant through Fettereso and onto Dunnottar Castle. Then walked along the coast into the town for a pint and an ice cream! It's not to far from where I live so easy to get a lift afterwards! By the way, didn't go to Skye as the weather was rubbish. Went to the Cairngorms instead but didn't have much luck there as my lightweight tent ripped a corner seam during a windy night!! Get your entry in and see if you get accepted then you can make plans. I'm sure you would find someone to go with or partner with another solo or group. I did a mostly low level walk this year and was seldom alone. I probably could have walked with someone every day if I had wanted. my application passed as did my daughters... everyone is telling me to wait another year, but..... I really want to come hike if i get in. its a what do I do list making time hahah. itll work out, I will figure it out. I think walking with someone would be wonderful, but then I would hate to hold anyone back cause I go at a snail pace up hills and mountains. 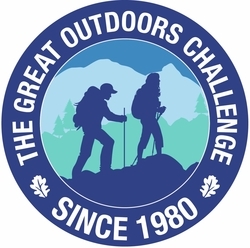 There is a lady called DuneElliot on the trek lite forum who is looking to hook up with someone for the TGO. She is a Brit based in the US. Might work for you both should you all get in! Her blog is nomadicpawprints. Sounds amazing. Cant wait to hear what you come up with.